Over 20 Washington Middle School musicians recently performed as part of area honor bands. Last weekend, the Washington Area Performing Arts and Events Center hosted the third annual SEIBA Elementary Honor Band. Washington had 10 students in the second-year band. Earlier in April, 21 Demon band members were part of the Honor Band at Mt. Pleasant. One piece the 6th grade band performed was Fires of Mazama by Michael Sweeney, and they were under the direction of Ashley Wilson of North Scott. Participating in the 2nd year band: Kevin Flannery, Henry Raber, Sarah Hunger, Levi Applegate, Teegan Sulentich, Sofia Jaspering, Natalie McCleary, Gracey Simmering, Bailey Rees and Allison Rees. 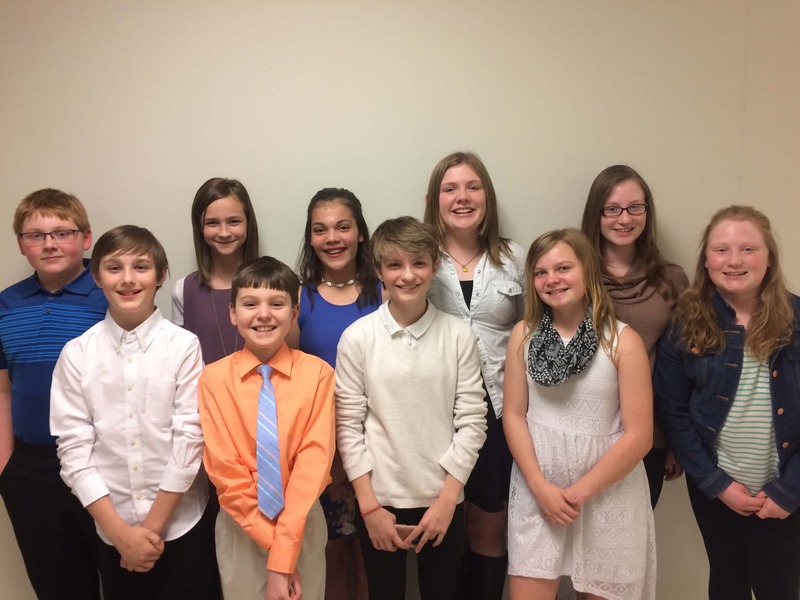 – 6th Grade band: Bailey Rees, Sarah Hunger, Allison Rees, Gracey Simmering, Teegan Sulentich, Henry Raber, Avery Six, Kevin Flannery and Levi Applegate. – 7th and 8th Grade band: Sarah Newman, Chloe McGuire, Jenna Messer, Emma Herr, Sami Smith, Anna Venegna, Kyleigh Dolan, Mateo Salazar, Nikki Steege, Quentin Howard, Allison Lucas, and Cameron Westphal.